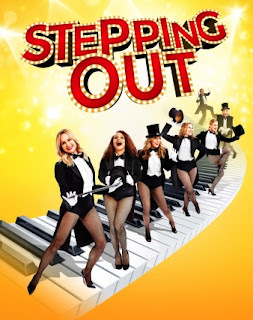 The West End production of Stepping Out started previews a the Vaudeville Theatre last night. The opening night for press is on 14th March 2017. The role of Mavis was due to be played by Tamzin Outhwaite; but she has had to temporarily withdraw from the production with a stress fracture of her foot. From 8th March tapper extraordinaire Anna-Jane Casey (West Side Story, Chicago and Billy Elliot), will take over until she has been given the medical all clear to rejoin the production. The role will be played by Katie Verner until she steps in next week. Stepping Out is a heart-warming comedy following the lives of seven very different women and one man who are attempting to tap their troubles away at a weekly dancing taught by Mavis. Anna-Jane Casey joins her sister Natalie Casey (as bubbly Sylvia) and the previously announced Amanda Holden (as perfectionist Vera), Tracy-Ann Oberman (as mouthy Maxine), and Nicola Stephenson (as shy Dorothy). The production is directed by Maria Friedman and is brand new staging of Richard Harris's award-winning play which toured UK venues last year. Further cast members include Judith Barker, Jessica-Alice McCluskey, Sandra Marvin and Dominic Rowan with Janet Behan, Suzy Bloom, Emma Hook, Marcia Mantack and Nick Warnford. Amanda Holden said: "It is sad to lose Tamzin. 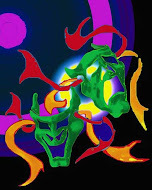 It is ironic and, of course, in keeping with the theme of the show in many ways. However we can assure everyone who comes a fun and entertaining evening and we can't wait to get started with the previews. We look forward to Tamzin returning very soon."